Kept in Saadabad Palace, Tehran, Iran. 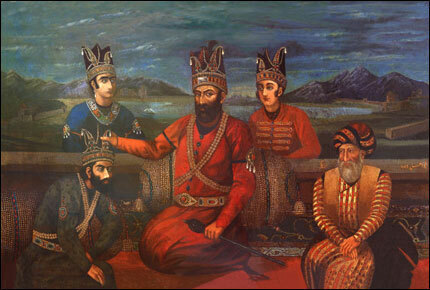 This among rare portraits of Nadir Shah by a Persian artist. Most of his portraits are done by Mughal Indian painters. In this scene, Nadir shah is giving a new crown to the Mughal emperor, Muhammad Shah  to show his authority over him.